I would have loved to wear my all-time favorite dress to church last Sunday and have photographed how I styled it in a official outfit post, but my belly is WAY too big right now. 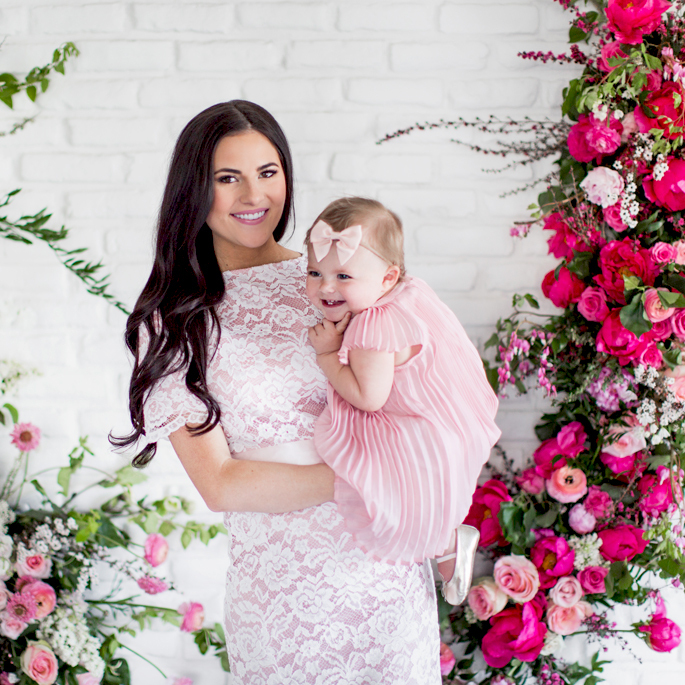 I’m SO sad that I can’t wear a lot of the clothes from my spring collection until baby boy gets here so until then, here are some photos from a few months ago at the Rachel Parcell spring collection photo shoot. 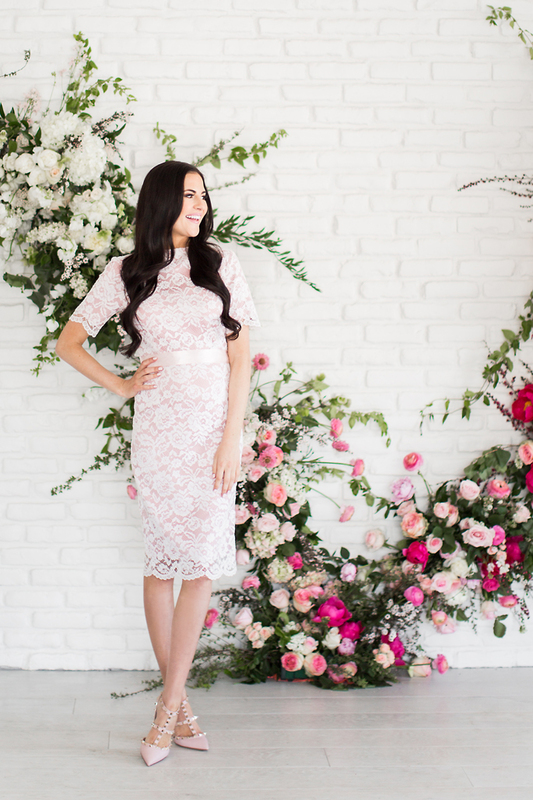 This is the perfect dress for a wedding, shower or for church! Also a few new pieces for summer will be launching very soon, stay tuned!!!!! Stunning dress! Everything about it is just perfect! I love the collection you created and this dress is so gorgeous . Enjoy the rest of your beautiful pregnancy. That is a beautiful dress! I love how feminine and delicate the dress is! Agreed, I’m all about feminine and classic dresses and this one is just adorable! You look adorable in this pastel pink dress, I love your whole collection, it’s so inspirational you got to do this and from your sister’s post, reading that you’ve been wanting to do this since you were little, it’s really a dream come true and we are here to support you. Keep up the good work. That dress is so pretty! I love how feminine and classy it is. This dress is so romantic! You both look pretty! Seriously SO gorgeous! And Isla is just too cute! This dress looks stunning on you and love the shoe choice! You look absolutely beautiful!! I really love your collection… it’s so feminine and classy. This blush color is one of my favorite hues to wear. This dress is a dream, so chic and feminine. Everyone should have a lace dress in their wardrobe. Can’t wait to see your summer collection. Gorgeous dress!! Excited to see the pieces you launch for summer!! Every dress in this collection is perfection! I think this might be my favourite as well, but my belly is much to big with these twin girls of mine. Can’t wait to get my hands on some pieces when they arrive! What do you use to curl your hair? It always looks flawless!! Im actually do a post about it soon! Stay tuned Mckenna!! 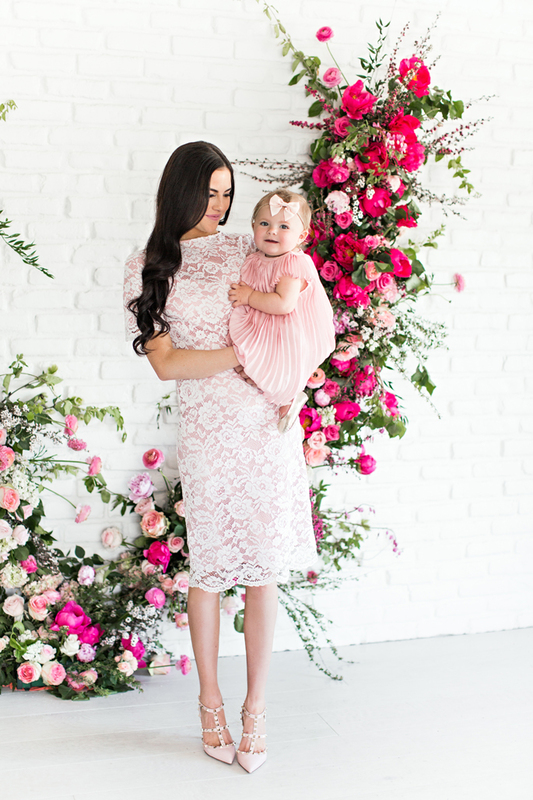 Love your dress, and you’re right, it’s perfect for a wedding or baby showers and church! Love this dress! You did amazing on your line, cant wait for more!! Sending love!! Oh my gosh!! Thank you so much Lindsey! You are so pretties, really ! This dress is SO gorgeous! I feel like I need every piece in your collection. :) I recently had my second (also a boy) and it has been so fun to wear some of the pieces that I bought while pregnant, but couldn’t fit into. Oh Rachel thats so great, I’m so happy you love them! Congrats on your boy! I cant wait for mine to come! You look radiant regardless!! Can’t wait to see the new pieces, though. Nice flashback! And it isn’t even Friday! Ha! I would love to order some of your clothes . You look absolutely gorgeous as always, Rach! I love the dress from your collection, it’s definitely one of those versatile pieces to wear to so many different events and occasions! Thanks so much for sharing and I can’t wait to see your new pieces! You look gorgeous Rachel and your baby girl is so adorable. Isla’s dress is beautiful! Cute dress Rach, those flowers in the back are gorgeous. I can’t wait to see summer collection!! I LOVE wearing your pieces and always get so many compliments! Oh Sara!! That makes me so happy! I bet they look amazing on you! This outfit is so cute! I love the lace and pink undertones! Your hair looks so shiny and manicured in these pictures! What products do you use? Hi Stephanie! I love the It’s a 10 shine spray and nexus hairspray! Your Spring collection is so feminine and beautiful! Hope you’re feeling great and doing well! Thank you so much Amanda! Im so happy you like it! you look beautiful!! and OH i am loving mine so so soooo much! it is beyond gorgeous. thank you again for sending it so quickly after the giveaway! and oooh, it will be so nice once you can fit back into your pretty things again. i know the feeling! Love the pink blush colour, it is flattery on every skin tone and looks perfect in the summer heat.